can cause you problems, especially now that the cloud is becoming more of a necessity than just an option. As much as possible, all your business’ important data (and email) should be on the cloud, so as to avoid any hassle when the server is down. In addition, choosing an on-premise server requires you to have your own IT people, which can cost you more than expected. 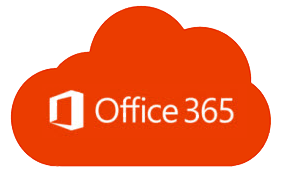 Here at HoustonTech, we offer a reliable cloud service with a trusted and familiar brand: Office 365. You can save time, money, and effort when you migrate everything to Office 365. With Microsoft Exchange, which functions as your business’ cloud-based exchange server, you can have easy access to all your files, email, and contacts anytime, anywhere, and with any device, without the hassle of maintaining an onsite exchange server. Using Office 365 cloud also allows you to communicate with your employees and share documents within your circle, as well as make use of their known applications, such as Word, PowerPoint, and Excel. Our tech team can help you set up Office 365 in your Houston office and successfully transfer everything, so that you can focus on the more important aspects of your business, rather than the IT side of it. We will make sure that your business will be operating in Office 365’s cloud steadily and efficiently. For your Office 365 cloud needs, let the experts at HoustonTech IT Support do the work. Call us at (832) 919-7100 so we can discuss the Office 365 migration plan that best fits your business’ needs. We can take your call from Monday to Friday, 07:30AM-07:00PM.